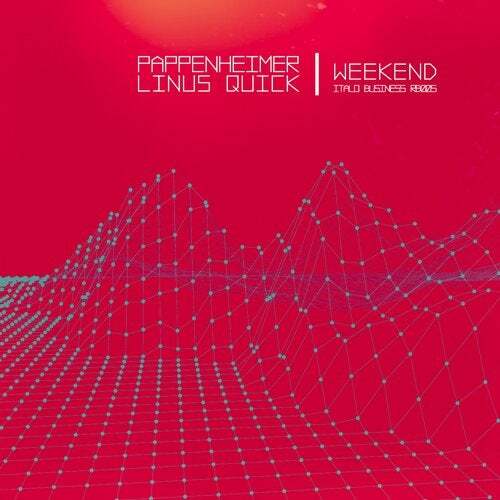 Weekend is a "concept album". It consists of ten tracks that explore varying facets of the duo's sound.At once engulfing but also claustrophobic, dark but also uplifting, hypnotic but also full-throttle, the producers behind itleft no details untouched in filling in their vision, incorporating ideas from noise, psychedelia, and proper techno. Early support from: DJ Nori, Omar Salgrado, Uglh, Andrea Frisina, GO!DIVA, Guido Nemola, Joseph Capriati, MIDI, Monica Alamo Aka Mon, Paco Osuna, Stefano Infusino, Atie Horvat, Bodyscrub, Dario Sorano, Energun, Flash Brothers, Maurizio Vitiello, Patrick DSP, Peja, Spartaque, Spiral Tribe, Vegim and many more.